Yay for spotty participation in this challenge! But, as you know, I rarely own untrieds since I cannot help but play with new nail polishes! However, when the challenge started I noticed a few prompts I wanted to take part in so I refrained from using certain polishes. A few months ago, I noticed the Nails Inc. Feathers Effect polishes were on sale at the Sephora website. They looked interesting and I had nothing like them. Since the originally $11.00 polishes were on sale for $5.00 I excitedly put one in my basket. After months, there is still one color left. Is that any indication of how well this trend did? Regardless of this challenge, I never have occasion to use this topper. It is an extremely odd polish. On the nail, the bar pieces appear hairy. The affect does not add to the manicure. I can see why this trend never made it. That being said, the formula is great. I am an avid fan of Nails. Inc polishes and this polish does not disappoint. The clear base is thin and easy to manipulate. The feathers are dense and I did not have to fish for them in the bottle. The best part of all? They self-level! A win of a formula. I used 3 coats of Nails Inc. Sprinkles Pudding Lane as my base. I concentrate Nails Inc. Feathers York at the cuticles and brushed towards the tips. 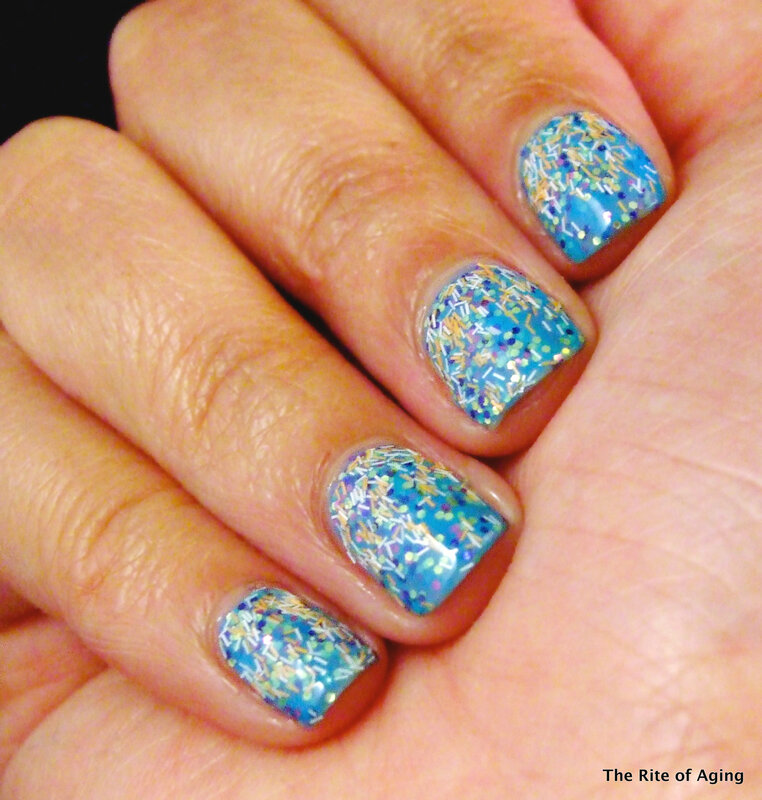 Don’t forget to check out the nail polish trends graveyard below!